Sauber revealed its 2013 Formula 1 contender, the C32, in an event at its Hinwil headquarters in Switzerland on Saturday morning. 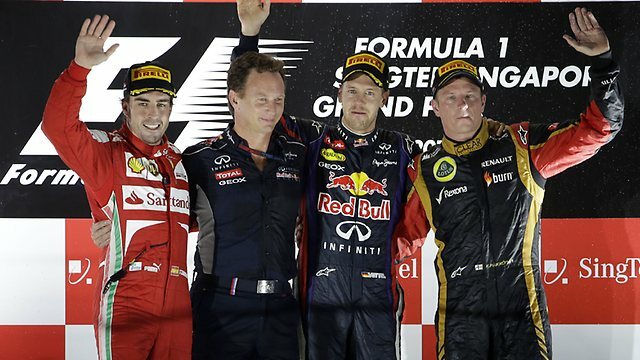 The team enjoyed one of the most successful seasons in its history in 2012, as it claimed four podium finishes and finished sixth in the constructors’ championship. Team boss Monisha Kaltenborn said that given last year’s results, Sauber wanted to build on the previous car’s strong points rather than starting afresh. “I’m very excited, but also a little tense,” she said. “The aim is very clear and simple: we want to continue to improve ourselves. “The Sauber C32 is based on its predecessor, which was a very competitive car. The car has an all-new, largely grey, livery and runs a smooth nose as well as notably small sidepods. Sauber also has an all-new driver line-up for 2013, with ex-Force India man Nico Hulkenberg and promoted test driver Esteban Gutierrez replacing Sergio Perez and Kamui Kobayashi. Esteban Gutierrez has been confirmed as Sauber’s second driver in 2013. The Mexican will move up from GP2 to partner Nico Hulkenberg in an all new line up for the Swiss team. Esteban Gutiérrez commented: “After three years working with Sauber I feel very grateful for all the attention I have received from everyone in the team and for all their input, which has allowed me to develop into a Formula One driver in a very progressive way”. Reigning FR3.5 champion Robin Frijns joins the team as a reserve driver. Kaltenborn also paid tribute to Sauber’s current racers. “I would very much like to say a few words about Kamui Kobayashi as well. Over the last three years Kamui has shown us he is not only a fierce competitor on the track, but also a wonderful person and fantastic team player. Every member of our team has the greatest respect for him, and his podium in Japan was a particularly emotional moment for all of us”. “This has not been an easy decision for us to take, but we have committed ourselves to a new beginning and our time with Kamui will come to an end after the final two races of the season. We wish Kamui all the best for the future. Our thanks also go to Sergio Pérez, who has claimed three podiums for the team so far and now has the opportunity at McLaren-Mercedes to display his immense talent with one of the most successful teams in Formula One history. We would also like to wish Sergio all the best and every success for the future”. Nico Hülkenberg will drive for Sauber in 2013. But Sauber didin’t tell who he’s teammate will be, will it be Kamikaze (Kobayashi) or another Mexican like Esteban Gutierrez. Drivers like Alguersuari, Kovalainen, or Sutil still have chances to be the Number 2 in the team. Hülkenberg’s joining to Sauber was absolutley right. He had to make a step forward in his career and we don’t know if the Sahara Force India team is financially alright. So Hülkenberg could stay for Sauber many years, if Telmex stays as sponsor. Hülkenberg was from 2008-2009 testdriver by Williams, in 2009 he was GP2 champion. Hülkenberg was driving for Williams in 2010, he’s highlight in that year was he’s pole in Sao Paulo under rainy conditions. The Netherlands Robert Frijns has good chances to be testdriver by Sauber for the next season. He won three championships in three years (! ), Formula BMW Eurocup 2010, Formula Renault 2.0 and the Formula Renault 3.5 Series this year.